The City of Davis and the Downtown Plan team have been planning for the future of our downtown over the course of this year and are continuing to engage the community in the conversation. 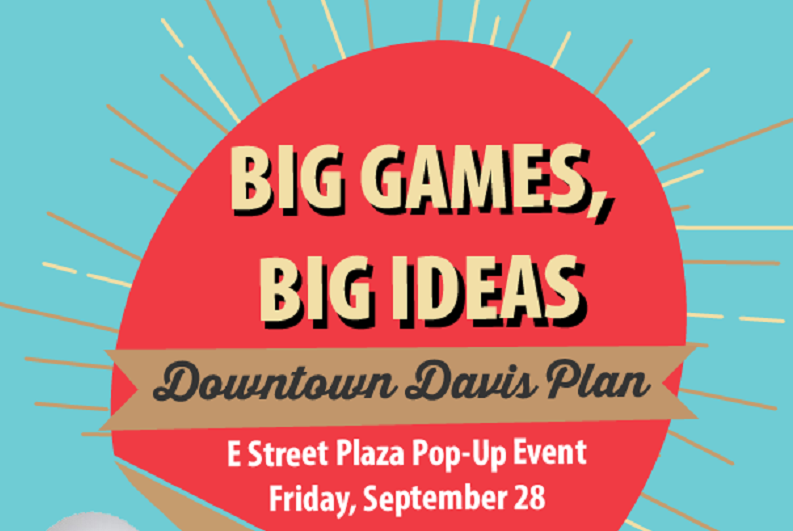 The Downtown Davis Specific Plan is an opportunity to envision and plan for the future of Downtown Davis. It will set goals and strategies to meet those objectives over the next 20 years. The City and the Downtown Plan team are also hosting two events to give community members opportunities to engage in person and review the draft plan. Let’s activate the E Street Plaza! 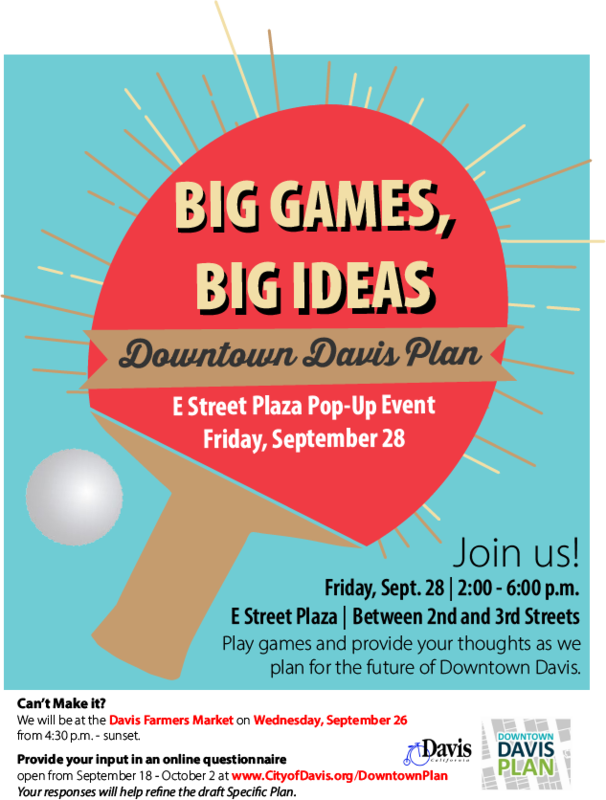 On Friday, September 28 from 2:00 p.m. to 6:00 p.m., the Downtown Davis Plan team is hosting a pop-up event with ping pong, corn hole and more. 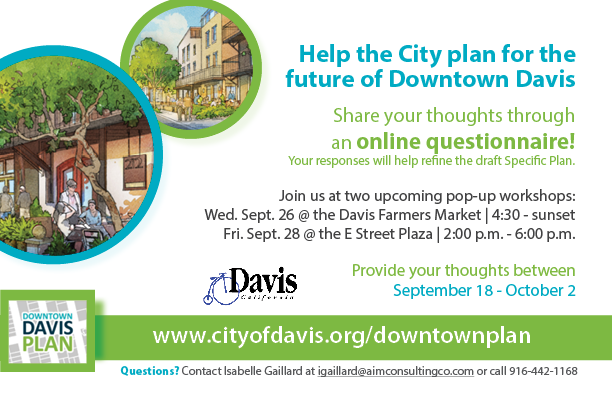 We’ll also be asking community members to provide their input to help refine the draft Downtown Davis Specific Plan. We will be at the Davis Farmers Market on Wednesday, September 26 from 4:30 p.m. to sunset.